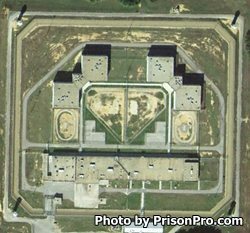 Sussex II State Prison is opened in 1999. It is a level 4 facility that houses inmates with long sentences, usually life or multiple life sentences. Additionally this facility houses inmates who have become difficult to manage at lower security levels and have since been moved up to a higher security. Inmates who were transferred into this facility and desire to get to a lower security must have no behavioral issues for at least two years before they can be given consideration for a transfer. The current capacity of Sussex II State Prison is 1,352 inmates. This facility is identical to a facility adjacent to it the Sussex I State Prison. Offenders at this facility can participate in educational and technical programs designed to teach the inmate a new skill and give them a greater ability at finding employment after prison. All inmates at Sussex II State Prison are provided basic medical, dental and mental health service. Inmates are secured by multiple security fences, a razor ribbon wire perimeter fence, electronic detection systems and four armed guard towers. Visitation at Sussex II State Prison occurs on Saturdays and Sundays on a rotating schedule, contact the facility for your inmate's current visiting hours.